KUALA LUMPUR (Nov 8): Malaysia's central bank left its key interest rate unchanged at 3.25% today, as expected, noting that the annual average headline inflation will be low in 2018. 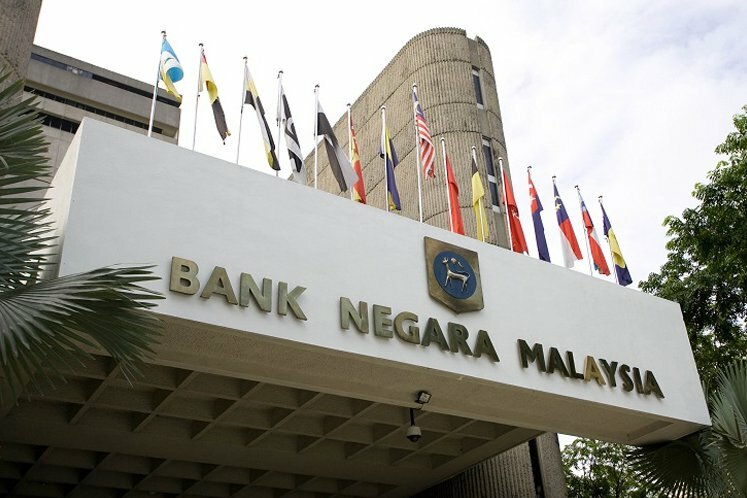 Bank Negara Malaysia (BNM) has kept the benchmark overnight policy rate (OPR) at the current level since Jan 25 when it raised the rate by 25 basis points. In a statement, BNM, however, warned that moving into 2019, headline inflation is projected to increase primarily due to higher projected global oil prices and the floating of domestic fuel prices. "While the impact of the consumption tax policy will contribute to higher headline inflation in 2019, it will lapse towards the end of 2019. Underlying inflation is expected to remain contained in the absence of strong demand pressures," it said in a statement. At its meeting today, the monetary policy committee (MPC) of BNM decided to maintain the OPR as it is of the view that the degree of monetary accommodativeness is consistent with the intended policy stance. "For the Malaysian economy, latest indicators point towards continued expansion in private sector activity. Private consumption will remain the main driver of growth, supported by conducive labour market conditions. "Investment activity is also projected to be sustained by continued capacity expansion in key sectors, driven by positive demand and efforts to enhance automation," said BNM. Public sector spending, however, is likely to weigh on growth, amid continued reprioritisation of expenditure by the government. On the external front, the central bank said exports are projected to provide an additional lift to growth, albeit to a lesser extent, due to moderating global growth momentum. "The domestic economy continues to face downside risks stemming from any further escalation in trade tensions and prolonged weakness in the mining and agriculture sectors. Nevertheless, on balance, the Malaysian economy is expected to remain on a steady growth path in 2018 and 2019," it added. BNM also noted that in line with regional economies, the domestic financial markets continue to experience non-resident portfolio outflows due to global developments. "Nevertheless, the financial markets remain orderly with domestic monetary and financial conditions supportive of economic growth. The financial sector is sound, with financial institutions operating with strong capital and liquidity buffers. "Importantly, the domestic economy maintains its underlying fundamental strength, with steady economic growth, low unemployment and surplus in the current account of the balance of payments," it said. On the global economy, BNM said expansion continues although with signs of moderating momentum. "Risks to the global growth outlook remain tilted to the downside, with trade tensions continuing to be a key source of downside risk. Continued volatility in international financial markets and monetary policy normalisation in some advanced economies could lead to further capital outflows and financial market adjustments in emerging economies," it warned.